Did you know that 55% of people watch online videos each and every day? Video has become a major marketing tool for small business owners, and incorporating video onto your company website can yield big results. And there are several things you can do to boost your brand with online video. Today I will share some tips and tricks that can help build your business and attract new customers time and time again. So, how do business owners use online video for branding? And how can you effectively incorporate those videos to get the best results possible? Here is everything that you need to know. Why Should You Use Online Video for Business? One of the primary reasons to use video for your business is that it helps establish a relationship with your customers. It can be difficult to make a good first impression with prospects via your website, so this gives you a good chance to build a solid connection—even over it’s not in person. Once you establish a connection with your website visitors, they will begin to feel familiar with you and your business. The idea is to build trust with your customer so eventually they will buy from you. In fact, since we started publishing online videos for the cleaning industry, many people approach me at our annual convention and tell me how much they enjoy the videos! That’s pretty powerful, considering this is a convention with over 15,000 attendees. Why aren’t More Business Owners Using Online Video? A lot of business owners aren’t using video for several reasons. 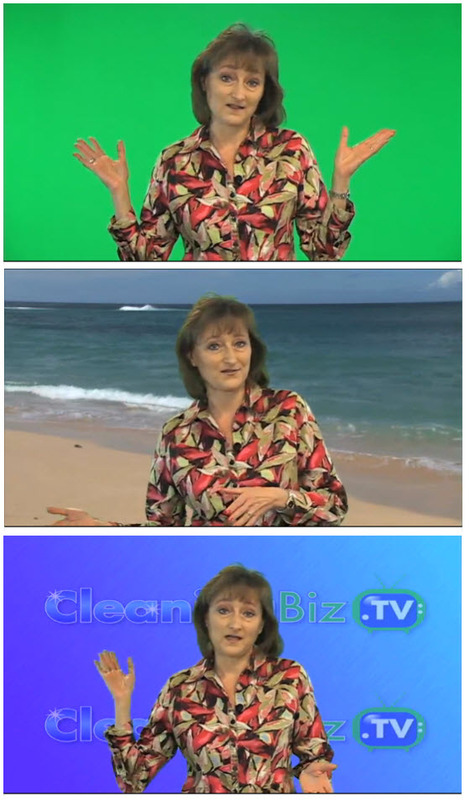 First, many business owners simply don’t feel comfortable on camera. They find themselves stumbling over their words or forgetting what they wanted to say in the first place. Another reason is that they simply don’t like the way that they look on video, and would rather just avoid the entire process. The key to overcoming this is to simply practice using the camera—you’ll get more comfortable as you improve. This was certainly true for me. The good news is that modern technology makes it super simple to delete and record a new video, or simply edit out certain parts of the video. You also don’t need super expensive equipment to film a high quality video—smartphones such as the iPhone 6 have the ability to record up to 60 frames per second in full 1080p HD. And small camcorders are very affordable if you want to invest in equipment to make the job easy and professional. Imagine how you feel when you visit a website that has no photos, videos, or anything to make you feel as if you’re dealing with an established company. Video is the perfect way to begin building trust and relationships with customers. One of the ways that you can start to build trust is by putting yourself in the shoes of your customer. Address the issues they need help with instead of going on and on about how great your company is. That may be the case, but your prospect needs to see how you’ll go about solving their problem. The best way to build trust with your video is to address your customers in a natural, friendly tone. Sounding too robotic will only turn customers’ way, so it’s best that you talk to your customers as if they’re your friend—and not just another dollar in your bank account. Where Should You Use Your Online Videos? As you can see, there is a world of opportunities that you can use to market your business via online video—and these are just a few to get you started. There are generally two ways to record your video—using a teleprompter or not using a teleprompter. There isn’t an exact answer on how to approach this; it all comes down to what works best for you. The photo above shows the teleprompter setup I use. You can see the camera is positioned just above the teleprompter so you can’t see my eyes move. Forgoing the teleprompter might be a good option for you’re a natural speaker and regularly speak in front of audiences. But that doesn’t mean you shouldn’t practice! Your video needs to be short and to the point, so only use this option if you can do that. It may help to have bullet points next to the camera so you don’t miss any topics that you want to cover. If you don’t use a teleprompter, you might have to record several sessions in order to get things just right. Using a teleprompter is a good option if you need a script to get through your video. This will also help you control the length of your video, prevent rambling, and eliminate “ums”. Scripting your video is also a good way to ensure that you sound professional when speaking. When you write your script, write it like you talk. You want to make sure you sound as natural as possible. Capitalize words that you want to emphasize. Keep your font size large so you can read it and adjust the speed of the screen to your liking. Put your camera on a tripod to keep it stable. Stay a reasonable distance away from the camera so your viewers can’t see your eyes moving back and forth as you read the script. It’s a good idea to have someone control the teleprompter so that if it goes a little fast they can pause it until you catch up. Put your teleprompter screen right under the camera so that when you read the screen it looks like you’re looking into the camera. When filming your video, remember to smile, use inflections in your voice, look into the camera to connect with your viewers, and practice often. Make sure you have plenty of lighting, and don’t film in front of a window. Don’t forget about audio. Use a wired or wireless microphone to eliminate sounding hollow and background noise. People won’t watch videos with bad audio. Should you use a Green Screen? Green screens can be fun to play with, as you can see here. You can make it appear as if you’re having fun on the beach, or you can create a branded graphic to place behind you like the one you see here. Just keep in mind that there is additional editing that needs to be done when filming against a green screen, so be aware of that when considering your budget. What about the length of your video? If it’s a promotional video for your home page, the perfect length is somewhere between 1 minute to 1 minute and 30 seconds. Blog post videos that are educational in nature can be longer, generally around 3 to 5 minutes. Check you video analytics to see the point where viewers drop off. If you’re making 5 minute videos and they tend to drop off at 3 minutes, then it’s time to shorten your videos! Whether you use a teleprompter or not, your online videos are sure to be an effective marketing tool for boosting the brand image of your business. Get Your Custom Marketing Strategy Today. If you’re ready to get extra exposure for your business, contact Marketing Systems by Design to learn about our marketing packages.